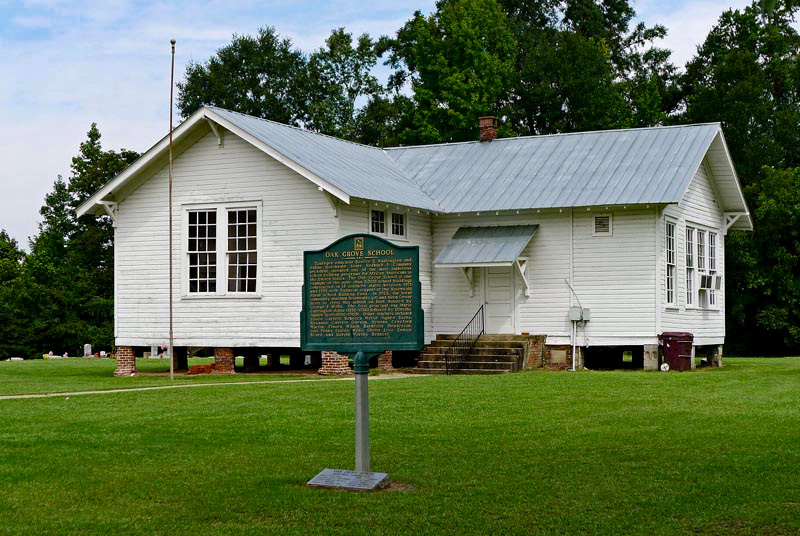 The Oak Grove School was established near the Gallion community of Hale County in 1925 by the Julius Rosenwald School Building Fund. Rosenwald provided funding to establish schools for African Americans throughout the American South during the first half of the twentieth century. Local African American residents raised $1,400 towards the building costs, and the state of Alabama contributed $900, with Rosenwald donating the remaining $700 of the total. The two-room structure served as a school until 1968 and is now a community heritage center.